We are the Northeast’s premier Alpine Touring and Telemark sales, demo and repair Center. 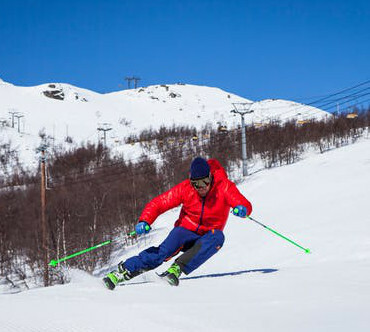 Why Rent from Village Ski & Snowboard? Save Money! 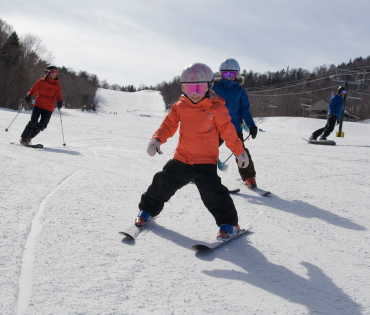 Our prices are a fraction of the cost of renting at the ski area. Convenient Location - Closest shop to Loon’s entrance. Across the Street from South Peak at Loon. We are a quick stop off the highway when heading to Cannon, Bretton Woods, Waterville Valley or into the backcountry. Best tune in town! All of our service work is guaranteed and we have been named one of Skiing Magazine’s Top Tuning Shops! Largest Selection of Winter Sports Rentals in Town - Alpine, Telemark, Alpine Touring, Snowboards, Snowblades, Cross Country, Backcountry and more! One Stop Shop – Get equipment for the whole family, shop for essential items, and get a fresh tune all at the same place. Save Time - Reserve Ahead of Time – Your Gear Will be Ready When You Arrive! Pick up your gear after 3PM for the following day. Open late on Friday – peak season until 10PM! We are open early enough to grab your gear and get to the mountain before the first lift! This is a store that gets what it is to be great. Great customer service, great gear, and great music! Want to say thanks for hooking me up with some great rental gear. It was my second day skiing and the gear was great. Staff was super friendly and helpful. Returning equipment was easy. Will definitely rent from you guys again next time! Keep up the good work! Loved this place. Came in with a group and they took care of us all with no problems. Customer service was fantastic, it was quick and fast, and they were extremely knowledgeable (which is great because I know nothing about skis). Pricing for last minute holiday rentals was pretty well priced ($24), but my friend booked early and it was only $19. When we handed in our stuff they gave us a $5 coupon for our next time renting! Loved these guys, I'll definitely come back. Thank you! !